Can a list make you a better leader? Only if it’s the right list. Or, even better, the right set of lists. In the second part of this two-part ebook series, you'll find the best of the leadercommunicator blog—including all of the most popular and most valuable checklist blog posts. In Part 2, “Strategic Leadership Through Big-Picture Communication”, you’ll find lists dedicated to communicating strategy and goals across your entire organization. Learn everything you need to lead from above, to set the tone company-wide, and otherwise lead the way with great communication from the top. What are you waiting for? 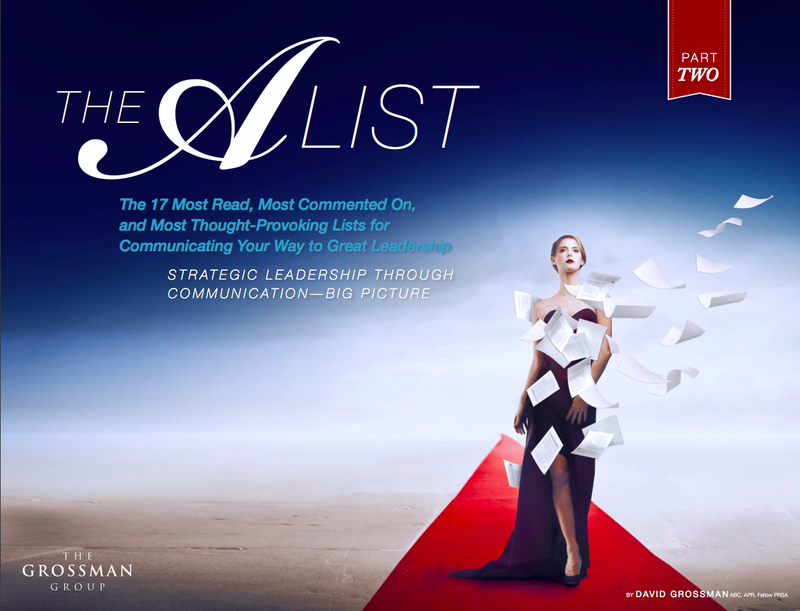 Download The A-List: The 17 Most Read, Most Commented On, Most Thought-Provoking Lists to Communicate Your Way to Great Leadership, Part 2: Strategic Leadership Through Big-Picture Communication today.